Another great story by Ms. Long. I loved the characters of Mitch and Amelia. Both are so full of passion and strength of will. They are right up there on my list of favorite characters in the series. I highly recommend this book and series. 5.0 out of 5 starsTheir journey is one I will reread over and over again. Words fail me. I cannot express how much I LOVE THIS BOOK!!! Okay the cover isn’t the best one of the series but the pages after left me breathless. Shadow Wolf is the start of a new arc and the author refers to events and places that take place in prior books that you really should read, that being said you could probably enjoy it without having read them just not as much. Neither Amelia nor Mitch are perfect but they are perfect for each other. Amelia is a strong young woman who comes off as a bit whiney at first. Mitch comes off as a bit condescending and work focused but as he helps her through her first change and Amelia discovers just how strong she is they discover each other as well. Their journey is one I will reread over and over again. This is a great read, beginning an arc within the series featuring the Enforcers, "Guardians of the Wolves". It begins with the kidnapping of one of the Willow Bend pack humans, Amelia Sullivan, whose sister Shiloh was lead in a previous book. Amelia, angry with her little sister's defiance of the rules and being rewarded for it, moved to Los Angeles to attend culinary school. She's snatched off the street only a few weeks after her arrival, tortured, starved and near death when she's found by Enforcer Mitch Jackson. Mitch is a lone wolf groomed and recruited by Julian for the Enforcers, where he works with military precision and dedication. With help from a tracker he locates where Amelia is being held and enters the abandoned warehouse to find the bodies of humans from the various packs, and a barely alive Amelia. Injured in the battle with her guards, he takes her to his cabin in the Sierras to recover as an ice storm hits, isolating them without electricity or phone service. It doesn't take long for Mitch to realize Amelia has been given "the bite" and that away from her alpha and without a mate her chances of surviving the change are slim. There is a good chance she will go mad and he will have to put her down. But Mitch is determined to get 'little sister" through to the other side, alive and well, and back home safely to her pack. Hopefully, that's what she wants, too. 5.0 out of 5 starsThe author outdoes herself. Ok, I admit when I first started this book, I had no idea how the author was going to make everything work. But she did. She pulled it off and this is easily one of my favorites in the series. Why? Because it's not your standard love story. Amelia and Mitch don't see each other and instantly think hey that's my mate, they are thrown together under stressful conditions and then their chemistry just explodes off the page. They show that the author has a great grasp on the long game, this story arc has been building for awhile, and it comes together in a way that I admire. 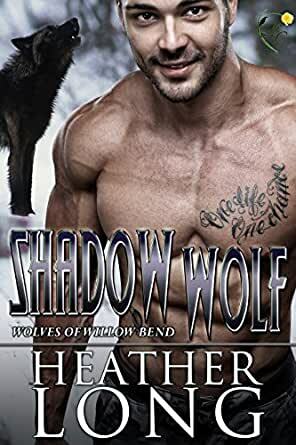 Definitely recommend this book and this series to lovers of shifter romance, I enjoyed and enjoy it immensely. I have skipped around through the series as each book has come out, mostly because I read from a short first then had to find my way to the beginning. With that said, this book gave more than I expected. Heather wove a wonderful tale, that all of it could be considered spoilers. But, I will say I love Mitch, and I love Amelia. For everything that happens to her, she's so freaking strong. Her will to survive when most would have given up, is a breath of fresh air. I love the fact that she will put all of the men in her life, in their places without compunction. I also love that she is vulnerable. So much has happened to her, and to see her grow into her own after all the pressure she'd been under, I found myself cheering her on. However, I would have loved to see some closure with her parents. (They are a nasty bunch) For everything that happened between them and for why she left, I think that part of the story should have been given a little more face time. Also, I can't wait to see where this is all headed with the Russian wolves, the clues they figured out at the end, left me shocked and a little dumbfounded, but I could also understand it. I cannot wait for Thunder Wolf to see where this is going and how everything will turn out! And the story of the struggle with the foreign wolves continues. This was a great read, and I enjoyed it alot. I purchased books 1-3 together as an Amazon deal. I read them over the weekend. I liked the story development and the characters so much that over the last two weeks, I have read books 4 through 10. The characters were well developed, and although each book was a standalone, there was thread of continuity and overlapping characters throughout. The story came to life and the last book, although not a cliffie, makes you really want to read the next one (which is not out until March, 2017). Well worth your time and money to read the series.